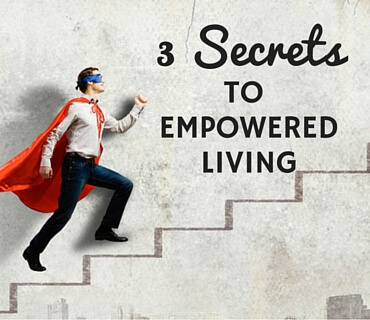 Today I’m going to share with you one of the most important topics to-date, and that’s empowered living. In a world where many people are struggling to find meaning and purpose beyond just paying the bills and getting by in life, there’s never been more of a need to unleash the best possible version of ourselves into the world. One of the things that really holds us back from living our true potential is fear. Whether it be fear of failure, success, or making changes in our life, when we don’t have confidence in who we are and what we can do, then we limit ourselves and our destiny. It’s also true that what we focus on most of the time in our lives, is what we end up with. So if we focus on what’s wrong in our lives, or negative thoughts and feelings that run around in our head and body, then we end up creating a life of misery. Nobody wants to fail in life, we all want to succeed. Yet, time and time again many of us keep hitting our heads up against mental, physical and emotional walls that seem to block our road to success. There are some simple ways to break from this pattern of behaviour and in a moment I’m going to share what they are. For now though, keep in mind that not only do we deserve to succeed in life we also deserve to be fulfilled. Success without fulfilment is just an empty shell as we may succeed in making a lot of money, but what about our relationships, health, and happiness? We may succeed at being happy, but will that be enough if we go broke and end up living on the street. Whenever you think of empowered living, think of success and fulfilment, then you have the best recipe to enjoy a happy, healthy and meaningful life. So how do we become disempowered in the first place? You know, it’s different for everyone. Each of us has our lives shaped by everything that has happened to us up until this point in time. In real terms it means that for the most our history is the author of our future. That is, unless we break free from old ways of thinking and behaving. 1. Breaking Free From the Past. One of the main fears that holds many people back from breaking free from our past conditioning is fear of change. To break free from our old emotional attachments to things, especially the ones that we feel like we might die from if we were to face them, doesn’t have to destroy us. In fact, that is just our fear. In reality, fear is just a mind-game that we play with ourselves, to keep ourselves stuck in the illusion that we are small. Once we understand that it is not real, it is just imagined, then we can imagine ourselves out of it. 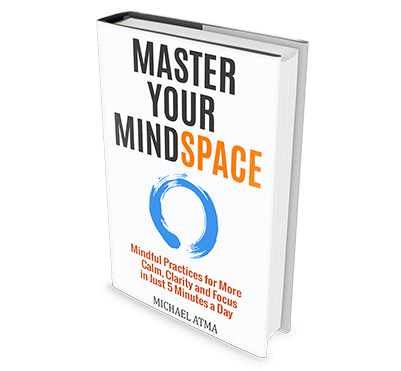 You can start this today just by doing a 5-minute visualization of yourself having, being and doing exactly what you want in your life. The secret here though is to not just do it once and expect your life to bet better. You need to do it every single day until you have what you want in your life. If something is important to you be it to have more confidence, start your own business, get a better job, or even be a better friend or lover, then make sure that you do one thing every day to help you move closer to your dream. The only time we fail is when we fail to get real with ourselves and hold ourselves accountable for our lives. The main reason anyone would give up on their dream is if they get a payoff from not achieving them. Most of the time, this payoff is not positive – it’s negative. In other words, even feeling like a victim, or feeling sorry for yourself is a payoff – it’s just not a pleasant one. We tend to get addicted to all sorts of things and even pain can become an addiction if we convince ourselves that it’s never going to be any different or get better. The next time you have a thought like that go do something fun or crazy for a few minutes to change your mental and emotional state and then affirm to yourself out loud, “I am powerful and can do anything I focus my mind on.” And keep doing this process of getting energized and then affirming this statement every single day until you’re living it. The other thing to note about fear is that we tend to evaluate our lives by what is happening in the world around us. Things like what we are doing, where we work, what’s others are doing, what’s happening on social media, and any number of distractions that keep us lost in our outer world. Did you know though that what most people are really looking for in the world around them is connection. They just want to feel a deep connection to something so that life has some meaning and purpose to it. Here’s the thing though – we’re never going to get that feeling from the outside. At best, we can distract ourselves from the obvious feeling of emptiness that we have so that we don’t get anxious or disturbed. But this only works for so long. The moment we are truly alone, then we start to get uncomfortable. That’s why if we really want to feel connected to life, we have to take the time to focus on looking inside ourselves where things like love, compassion, connection, wisdom, strength, integrity and so many more amazing qualities reside. Then we start to see an instant shift from fear to fulfilment. When we shift our focus from trying to be fulfilled in the outer world, to looking for fulfilment within ourselves, then we are looking in the right direction – then we are bound to find what we are looking for. 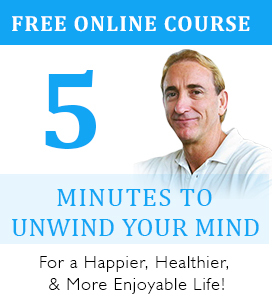 This means that all those people who are living lives that are intolerable and unsustainable when it comes to quality of life and they start embracing a different way of life, just by focusing within, then there may just be a different way of life that is simpler and more connected to enjoy. If we are sincere about wanting to have the best possible quality of life mentally, physically, emotionally and spiritually, then the bottom line is that it is up to us. Yes, we can seek out support and get some guidance, but at the end of the day only you can take the steps that will heal the past and open you to live fully in the present and take ownership of the future. We only have a certain amount of time on this planet and when we waste even one second settling for second best, then we are doing ourselves a huge disservice. Instead of being disappointed with ourselves, or our lives, the time would be better spent focusing on improvement.